At Cookbook Of The Day we are doing a cookbook giveaway. 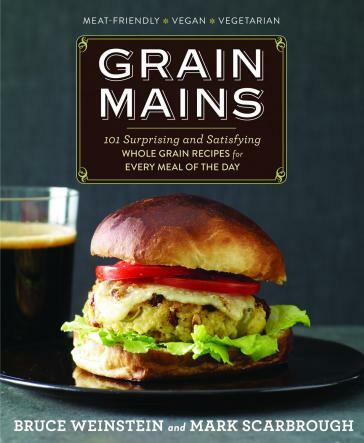 We have two copies of Grain Mains to share with our lucky winners. Thanks to Rodale. Our review has all the proper disclaimers. Head over to Cookbook Of The Day, comment and win! What a wonderful giveaway! I love to cook and would love to add this cookbook to my collection. Thanks! Anyway, your post made my mouth water - who would think grains could be so inviting? At the very least, I will put it on the libraries wish list to make sure it is there for all. Ha! I posted one last week, too, noting how timely this book is what with the news of arsenic in rice. Just read your fascinating post on the crime miniatures. Fooled myself. Just checked on Cookbook of the day and found that's where I posted. Thanks. Obviously I'm suggestible, an unreliable witness. As soon as I read the comment from "Liv" I thought I'd done the same as she. Until I realized I hadn't.